Prof. Grahame Holmes is the coordinator for Topic B and has run student projects in prior challenges with the students winning many awards. In 2005 the student team won 1st Place for Topic B (Utility Interactive Inverter Challenge): A High Efficiency, Low Cost, Utility Interactive Inverter. The Universal Adapting Battery Charger won the 2008 EDN Innovation Award for Best Student Project. The competition finals for topic B described below will be located in the ECSE department at clayton campus in July 2009. 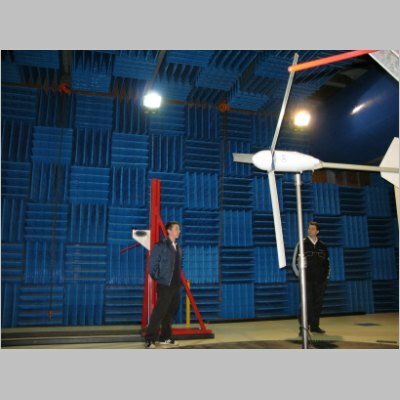 Topic (B) Low Cost Wind Turbine Energy Maximizer: The objective of this topic is to foster innovation in low power wind turbine generation systems for remote, rural and small urban applications. The goal is to construct a power electronic interface converter for a wind generation system that will support and protect the system operation under all operating conditions; achieve maximum energy transfer when charging a 12V battery over a wide range of wide speeds, without overcharging or damaging the battery; reliably operate without significant user support over many years of use; be a leading edge solution in the areas of performance, reliability, and safety. The design is supposed to be for minimum weight, minimum component cost and count, to achieve reduced high volume manufacturing cost..